My battery was disconnected from the car last week, and now I need to input a code into the radio to get it working. I don't know where to start with this and there's only me to do it. The car is an x reg if it helps. The instructions to enter the code should be in your handbook (If you've lost it try a search to download one). I take it you have lost the code? Try your main dealer quoting the vin number and see if they can help. Its highly unlikely to be on the rear, cause if it was then when the thief nicks your stereo he has the code to go with it! However worth checking though cause if your not the first owner , a previous one might have done it so they dontlose it. Cut up a hanger from the dry cleaners and make a pair of removal tools, that's all I use. They push in the holes to disengage the clips and allow it to pull out. 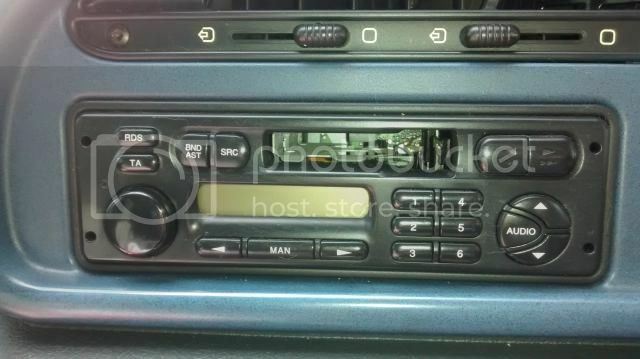 It just cost a friend of mine £10 to get a code for his Corsa radio from a local radio fitter.